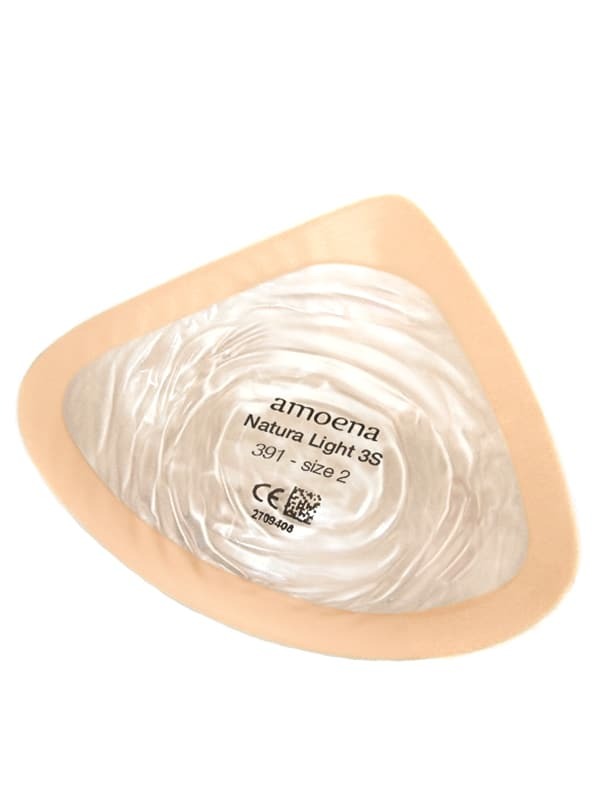 The Amoena Natura 3S Light Breast Form is designed to drape like a natural breast so that it moves with the body, even flattening when lying down. The Natura 3S Light prosthesis is made with a standard silicone layer with extra soft film. Full cup fitting with a high soft transition to the upper chest wall as less volume is needed. Up to 30% lighter than standard breast forms. The symmetrical shape can be worn on the left or right side.